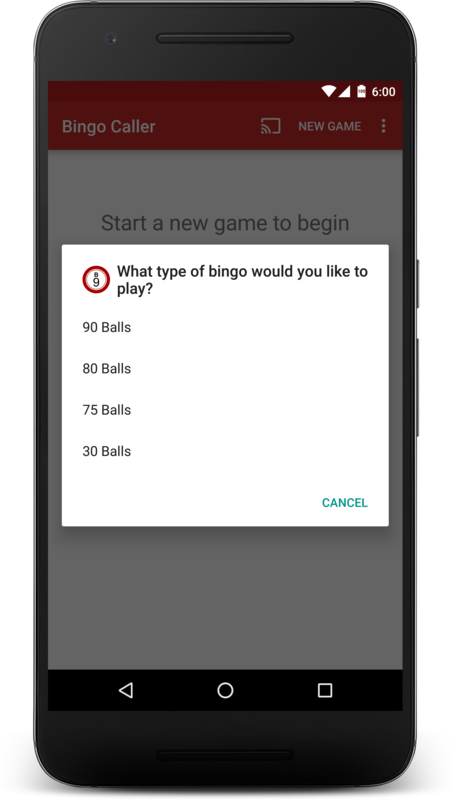 Bingo Caller is an android application available on the Google Play Store which allows you to host bingo nights with ease. Cast your bingo board to your television to provide all your players with the current list of called balls. 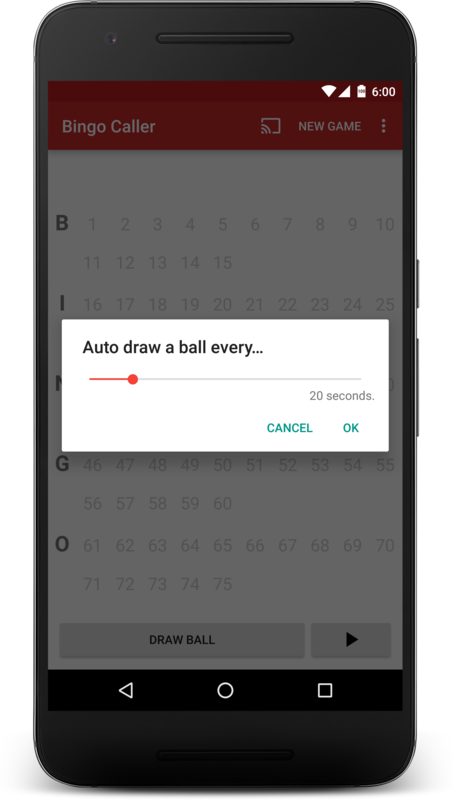 Bingo Caller can automatically call the next bingo ball at a specified interval. Bingo Caller supports multiple game types for every type of bingo you want to play. Having trouble with Bingo Caller or have a suggestion? Contact me at android-support@adie.io and I'll do my best to help.